To kick off the third season of Good One, Vulture’s comedy podcast, guest John Mulaney gives listeners some much-needed insight into how the hell he became one of the best living stand-up comedians. 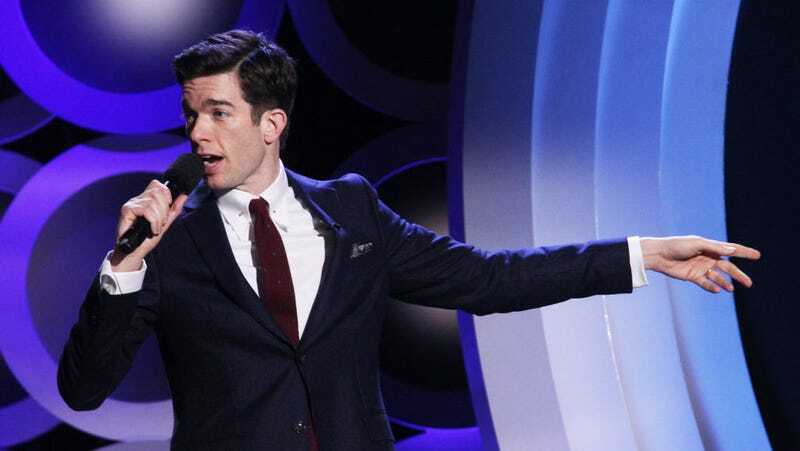 Anyone who has watched his new special, Kid Gorgeous, will agree that Mulaney is in peak form right now, but his journey to becoming a confident joke-teller was a long one. And, like many comedians, the road to success started with one of the worst sets of his life. Since then, this sense of urgency has informed all of Mulaney’s jokes. Before putting too much focus on clever tags or riffs, he makes sure to first lay the groundwork for why the thing he’s talking about needs to be addressed. He also steered his stand-up sets towards topics he had more strong opinions about. “If you don’t care, or if you don’t seem like you care, why should they care?” he says. You can listen to the whole interview with Mulaney here, which includes discussion of Oh Hello On Broadway, his recent SNL hosting stint, and a cold read of some of his best punchlines.